Got one more night left in town? Stay hydrated with this Wicked Little Mixer Water Bottle. 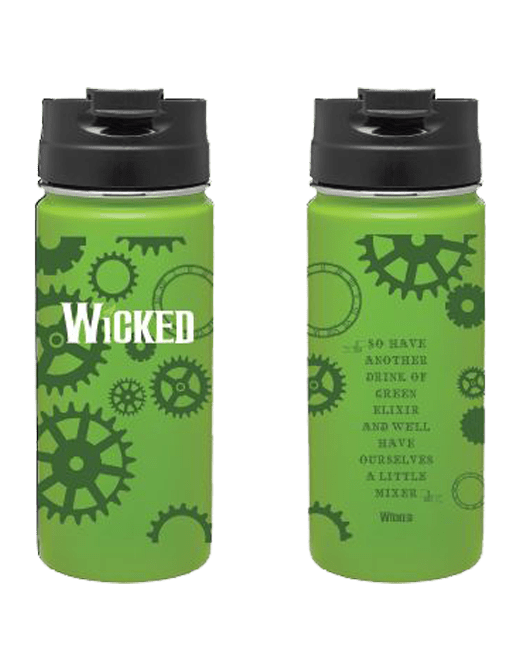 This green water bottle features the Wicked logo on one side and the quote "so have another drink of green elixir, and we'll have ourselves a little mixer" on the other side. Holds 20 oz., Hand wash recommended. Do not microwave.